T his blues infected party monster is the first release of a new project from a very known german producer. But you will never find out who he is though. The Cooler’ is a secret artist project and we are obliged to not publish the name of the producer behind. 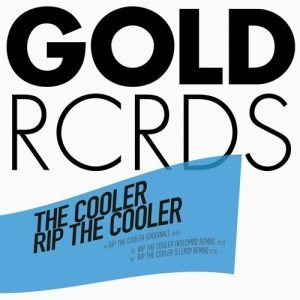 ‘Rip the Cooler’ comes along on Gold Records with a fine remixe from the Lila Bookings artist Kolombo, which gives the record a fresh tech house twist. The EP received early support by Riva Starr, Maya Jane Coles, Mat.Joe, Sacha Robotti, Joyce Muniz, Moguai, Wally Lopez, Chus….